This is pitch work done for a game directed by the talented Andrew Mccully (Episode director on Thunderbirds Are Go!). 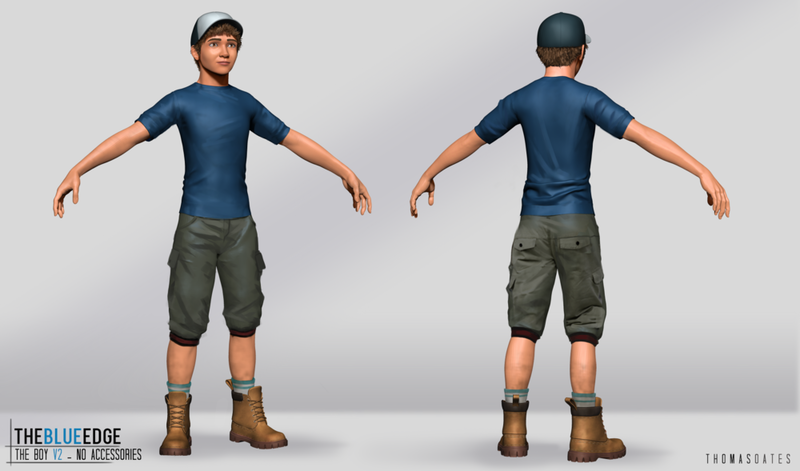 These are the final designs for the player character, a young boy. Using Zbrush and Photoshop, I created a base 3D model to block out proportions and shapes them painted over the top. Design for one of the enemies on the game, a mech that stalks the player.